In Digital Development in Korea: Building an Information Society, my book with Dr. Oh, Myung, we describe the rather desperate circumstances Korea found itself in back in 1980. 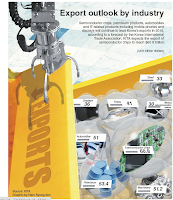 The political situation, the economy and a continuing malaise in the nation's electronics sector were all big problems. In the midst of those circumstances, a new group of young technocrats, led by the Stanford-trained economist Kim Jae Ik chief economic secretary to the President in the Blue House, made four key policy choices. They involved electronic switching, the semiconductor industry, the start of color television broadcasting and the separation of the telecommunications business from the Ministry of Communications which allowed, among other things, the private sale of telephone handsets. Several news reports about Korea's ICT sector today underscore just how farsighted those 1980-81 policy decisions were. Historically and technologically they led directly to South Korea's dominant position today as a manufacturer and exporter of networks, chips,displays and mobile devices. 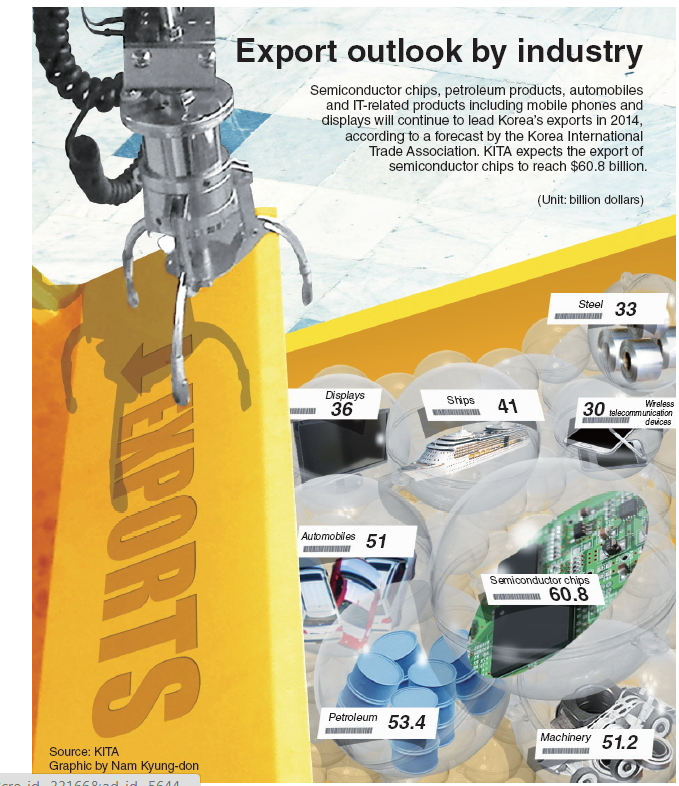 Based on data from the Korea International Trade Association, The Korea Herald published an "Export outlook by industry" infographic (click to see a full-size version)that projects semiconductors will be Korea's leading export next year, while displays and wireless communication devices are also expected to continue as major export categories. As reported in The Joongang Daily,"Nearly half the mobile dynamic random-access memory (DRAM) chips shipped in the world are made by Samsung." 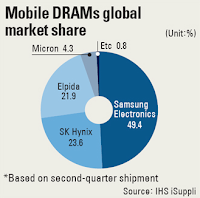 As shown in the accompanying graphic, Samsung and SK Hynix together account for nearly three quarters of all the mobile DRAM chips shipped worldwide. The article contained some other interesting detail. "Samsung started mass production of 3GB mobile DRAM chips in July, the first company to do so. Many of the smartphones sold this year use 2GB mobile DRAMs. IHS iSuppli predicted that the global mobile DRAM market will be $9.97 billion this year, up 42 percent from last year, and that it will grow 53 percent next year to $15.3 billion. The demand for mobile DRAMs is expected to surpass that for DRAMs for PCs as soon as next year."